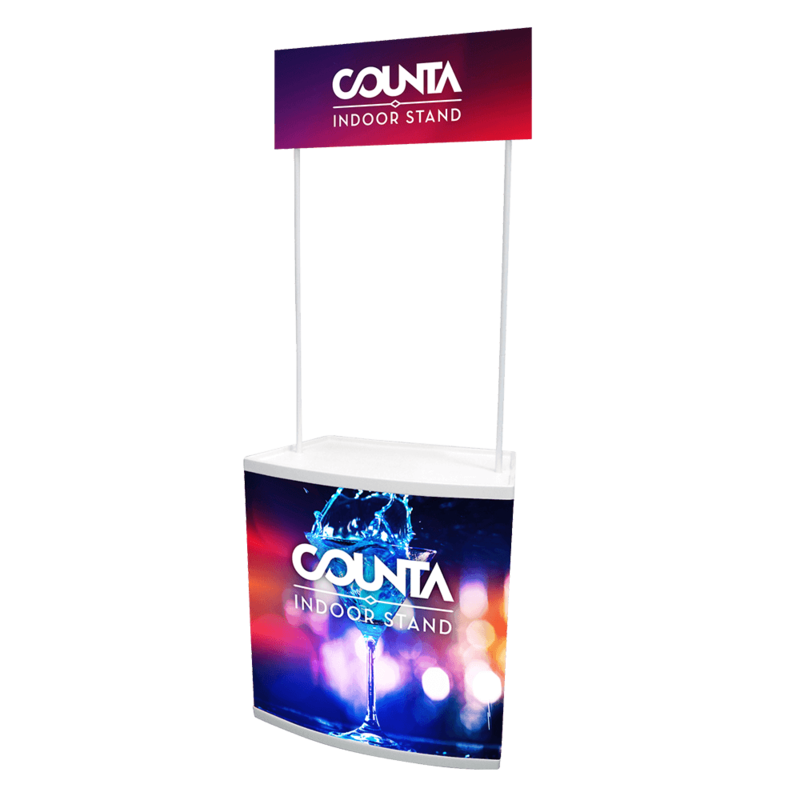 A counter, or in this case Counta, is an ideal display stand for handing out food and beverages to whoever is passing by, be it at a exhibition, a sporting event or a street fair. 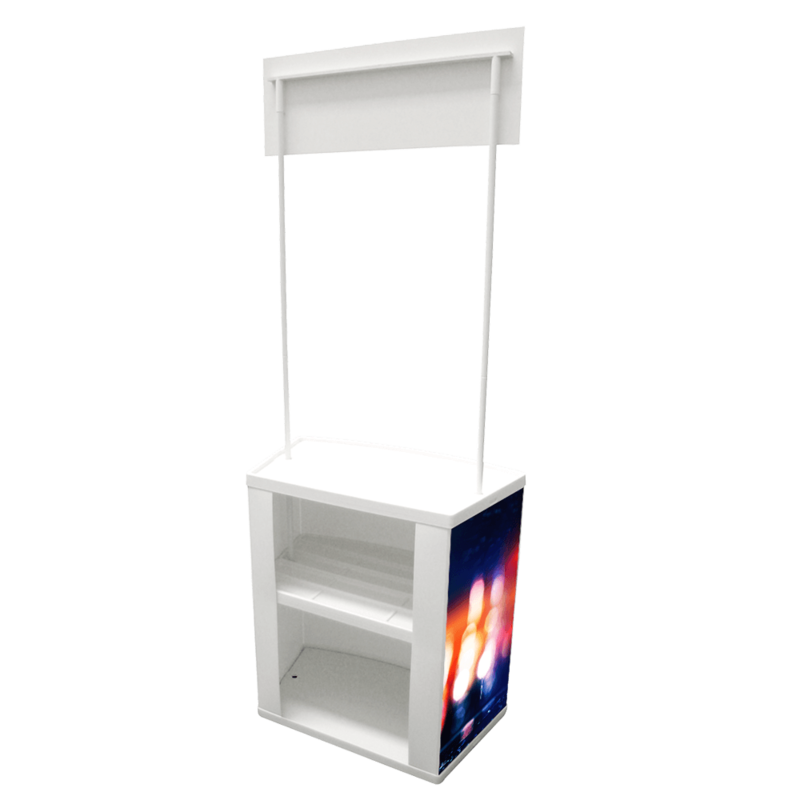 With a small counter base ideal for displaying or serving products, the Counta has a place for high-quality printed graphics on it's front three sides, with two deep shelves in the back for useful storage. Above the counter on two small poles is a header, that further displays and advertises the brand or company for even more attendees to see. While it comes in the colour white, the areas meant for graphics on the base and the header can be printed in any colour. It also only takes a mere 5 to 10 minutes to set up, on average, allowing you to start promoting and selling before most other booths.